From big shiny features to little subtle ones, there isn’t anything or anyone else out there providing what MCH has to offer collectively in one place. We're convinced this will truly and positively transform your organisation! Communicating with, providing for and knowing the most you can, about the people attached to your organisation can open up untapped resources that will make your group stronger and more successful. 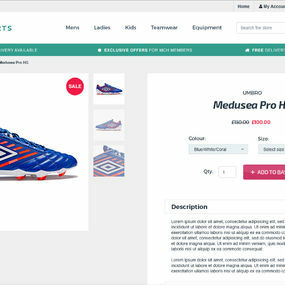 Showcase your organisation with your very own customisable website, full of amazing features. Keep everyone informed about news, events, fundraising and other key activities and announcements. 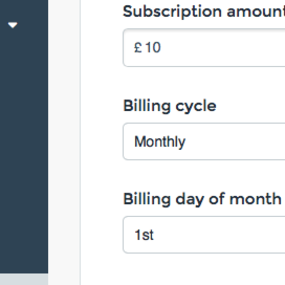 Set up subscriptions, plans and one-off payments via our partner integrated collections technology. Digitise, set up and administer Gift Aid returns against eligible payments and donations. Know your members like never before via a dedicated and secure member's control hub. The centralised hub means users can manage multiple memberships under one login profile. We all need a bit of help! Invite members to commit some time to your cause. Promote and instil spirited standards of commitment and behaviour, right across your organisation. 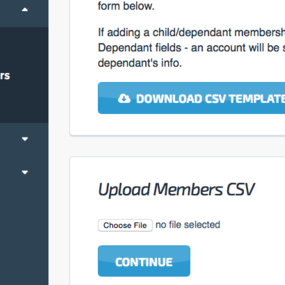 Helping you and your members hit the ground running, upload registration details from your existing records. Appoint multiple authorised users and control MCH access privileges right across your organisation. Collect recurring and one-off member payments via our partner integrated collections technology. Manage and feed all group communications keeping everyone connected and informed. Create, invite and manage regular events through your hub & members calendar. Log, allocate and track key committee actions, ensuring real time visibility of that all important to-do list. If you have your own facilities, use the booking system to internally allocate, or publicly let your resources. Call those registered members in to action and coordinate chosen tasks via your volunteers e-rota. 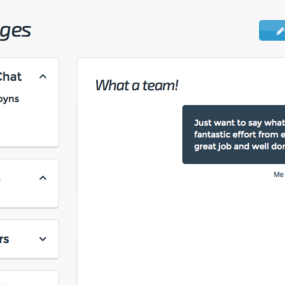 Share sports club statistics like fixtures, results and league tables or switch it off if that's not for you. Set up and track your member's voting choice for man of the match awards. Proactively build and maintain a long lasting pipeline of existing and prospective key funding sources. Never again lose track of the compulsory qualifications your official's need to maintain a compliant organisation. MCH brings training solutions, like First Aid, directly to you when actually need it and saves you the hassle of organising. Keep important documents appropriately and readily available, for as long as you need, via your online hub storage point. Having money in the club bank is often the ‘be all and end all’ and every penny is a prisoner. Make your money work harder, faster and further. Did we mention less effort!? Don't miss out on much needed sustainable income and receive what you are entitled to, without the administration hassle. MCH can help facilitate the Gift Aid application process to Bumbershoot Charity UK and administer claims for successful non charity applicants. Raise awareness of the financial products introduced via MCH Financial and your members can quickly and easily help raise more funds. Organising an event takes so much time and effort but you can make it easy and stress free using your event e-planning tool. Simplify your sponsored events by promoting, securing sponsors and collecting money, all online via your hub e-fundraising tools. Run a raffle, for all your registered members, from the comfort of your own arm chair or even whilst on the move. Fundraising scratch cards are a quick and easy way to boost your funds and yep, we make it quicker and easier. Not such a headache, it's convenient and easy to reach, enrol and manage a 50, 100 or 200 Club through your digital hub. Race on the night, not before! Organise your race night with complete ease, using the event e-planner, horse and jockey e-ticketing tool and digital race sponsorship. Managing the money and keeping the books is a must but needn’t be a chore. Tailored money solutions will bring financial benefits to your club and convenience to your life. We'll introduce potential savings for your members and your organisation will earn from every completed sale. Digital and automation P&L management ensures you can effortlessly keep on top of tracking and reporting the finances. Members are the lifeblood of your organisation and MCH Sports combines a variety of loyalty incentives that will not only recognise and reward your members but create financial value for your club too. 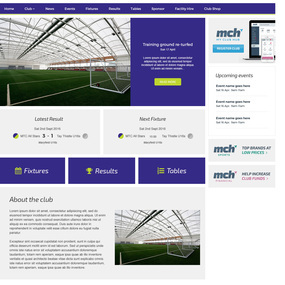 MCH Sports is a core extension of My Club Hub, designed specifically with the needs of your whole organisation in mind. Every 12 months, registered members will receive £100 worth of loyalty points credit, to draw down exclusive product discounts. 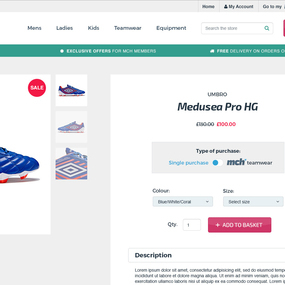 Additional non-discounted member purchases will earn points for your club to redeem against future teamwear purchases. 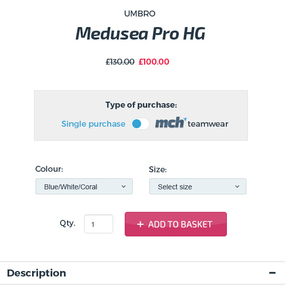 Specialised club merchandise purchases will also earn points for your club to redeem against future teamwear purchases. 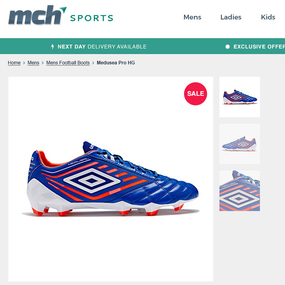 We get to know you, we get to know your members and we get to know your teamwear needs and preferences. Having visibility of what's going on in your organisation is always a challenge, whether it be knowing who has paid, what are the funds doing, where money is being raised. Your MCH reporting dashboard opens all that up for you! Keep track of all key activity throughout your organisation and gain valuable insight to help grow your organisation with several helpful reports.